Artichokes are native to the Mediterranean region, an area of the world with one of the lowest rates of chronic disease and one of the highest life expectancies. Mediterranean cuisine features artichokes, other vegetables and fruits, and little saturated fat. Today’s health professionals continue to recommend a low fat diet with at least five servings of fruits and vegetables a day to reduce the risk of certain cancers, heart disease, obesity and diabetes. This type of diet combined with daily physical activity promotes lifelong health. California artichokes are a delicious fit for a healthy lifestyle. One large artichoke contains only 25 calories, no fat, 170 milligrams of potassium, and is a good source of vitamin C, folate, magnesium and dietary fiber. The trick is to keep dressings, sauces and dips low in fat, too. Have fun along the way to better health! Some new exciting studies have shown that artichokes contain an unusual amount of anti-oxidants, in the form of phytonutrients and in a study done by the United States Department of Agriculture, artichokes rank as the number one vegetable in ant-oxidant count. Among the most powerful phytonutrients are Cynarin and Silymarin, which have strong positive effects on the liver. It is interesting to note here, that over the years, artichokes have been reputed to help in the cure of liver diseases, liver cancer and to cure hangovers! The typical American diet is notoriously lacking in fiber, due to the heavy reliance on processed foods and meat products. Adding a large artichoke to the daily diet would add 6 grams of dietary fiber or one-fourth the amount recommended by the USDA and the Department of Health and Human Services. 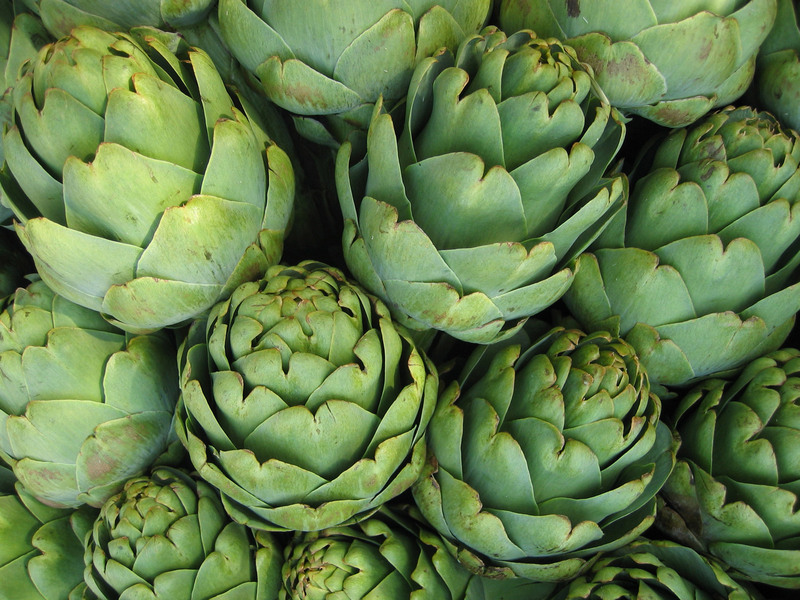 One medium artichoke has more fiber than a cup of prunes! For even more more healthy recipes, including those using artichokes, visit FoodFit.com. 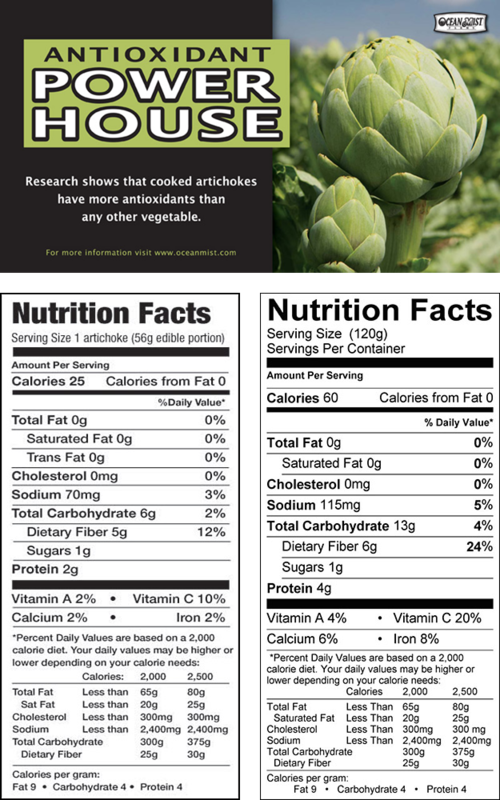 Click here to learn more about the health benefits of artichokes.